Dr Jim Salinger is currently an Honorary Research Fellow at the University of Otago. He has been a Visiting Professor at Stanford University, Research Fellow at CNR in Rome, Italy and a CSIRO Fellow in Hobart, Tasmania. 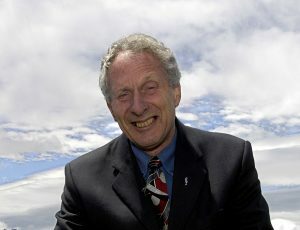 Jim is a Companion of the Royal Society of New Zealand (CRSNZ). He is an author for the Intergovernmental Panel on Climate Change (IPCC). He is an inexhaustible publisher in academic journals and prolific communicator of climate change including its impacts on agriculture to the public.